Patrick Saunders, who was the Roswell Army Air Field adjutant in July 1947, died in 1995, but not before leaving a legacy of information about his role in the retrieval and cover up. 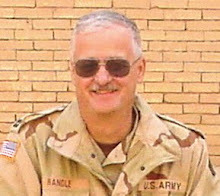 Had something happened in Roswell, no matter what it had been, as the adjutant and a member of Colonel William Blanchard’s primary staff, Saunders would have been in on it. And, according to the information I have, he was not only in on it, he played a major part in it. Before we look at all that, let’s take a moment to get to know the man himself. Saunders was born in Alabama in 1916 and died 76 years later in 1995 in Florida. He attended the University of Florida and was graduated from the University of Nebraska at Omaha and the Air War College. During the Second World War he flew 37 combat missions and was awarded the Legion of Merit, the Silver Star, a Bronze Star with Oak Leaf Cluster, the Distinguished Flying Cross and the Air Medal with three Oak Leaf Clusters. Patrick Saunders died in November 1995, after a fall that put him into the hospital. I first talked to Saunders in June 1989, as I was beginning my research into the Roswell case. He had just gotten out of the hospital after a heart attack, which, had I known, I would have waited several weeks before calling him. Sometimes my timing was very bad. That didn’t mean he wasn’t up to a telephone conversation and when I asked about the possibility of the UFO crash, he said that he knew nothing about the little green bodies and said that the whole thing was a big joke. He did confirm that he had been the 509th adjutant for only a few weeks when the events of July 1947 transpired. I asked if he could remember any of the rumors and which of those might have some truth to them, he said, simply, "I can't specify anything." Saunders, it seemed, was not a witness to the story. Or rather, that was what he led me to believe at the time, which probably saved him from dozens of telephone calls from around the world wanting to know what the truth was. But that really wasn’t the end of it. 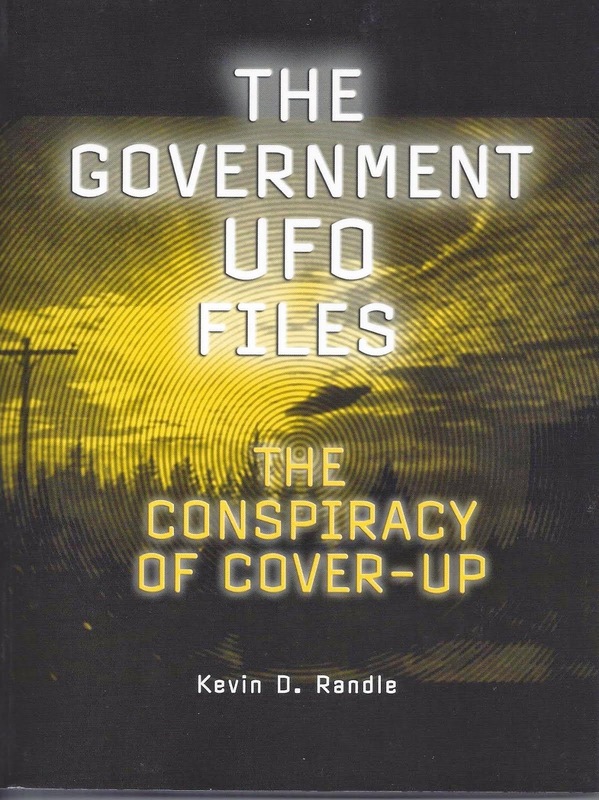 I learned that later, after both UFO Crash at Roswell and The Truth about the UFO Crash at Roswell were published, he bought copies. In fact, he bought lots of copies, because, according to what he wrote on the first page of The Truth about the UFO Crash at Roswell, he believed that was the truth. Files were altered. So were personal records, along with assignments and various codings and code words. Changing serial numbers ensured that those searching later would not be able to locate those who were involved in the recovery. Individuals were brought into Roswell from Alamogordo, Albuquerque and Los Alamos. The MP s were a special unit constructed of military police elements from Kirtland, Alamogordo, and Roswell. If the men didn’t know one another, or were separated after the event, they would be unable to compare notes and that would make the secret easier to keep. Rickett, the senior counterintelligence man an the Provost Marshal walked the perimeter of the debris field examining the wreckage scattered there. Most of the pieces were small, no more than a few inches long and wide, but some measured a couple of feet on one side. metal was very think and very lightweight. Rickett couldn’t bend it at all. As they prepared to leave the crash site, the senior CIC agent turned to Rickett. "You and I were never out here," he said. "You and I never saw this.You don’t see any military people or military vehicles out here either." "Yeah," Rickett agreed. We never even left the office." Of course it could be argued, and probably will be, that the messages are opened to interpretation. Here is a man who was at Roswell during the critical weeks suggesting, obliquely, that the inf ormation about the crash, retrieval and cover up is real. In fact, according to one letter I received from one of his children, Saunders had "At one point... bragged to me about how well he had covered the "paper trail" associated with the clean up!" In the months before he died, he confided in a number of close and life long friends that suddenly, the officers of the 509th Bomb Group were confronted with a technology greater than that of Earth. They, meaning the creatures in the flying saucers, had control of the sky. The Air Force was powerless against them. And they, the members of the Army Air Forces, had just seen the power of control of the sky. It was one of the factors that defeated the enemies in the Second World War. Saunders went on, telling people that military officials had no idea about what their, the pilots of the craft, intentions might be. Their technology was more advanced than that of the United States. Top military leaders didn't know if the alien beings were a threat so the government was reluctant to release anything about them. He did warn those he talked with to be careful. He was aware of the threats that had been made and he believed that those making them were serious. Here was a retired Air Force officer who was warning his family to be careful about what they said and who they said it to. One of his daughters wrote, "...he asked me a lot of questions probably to see if, in fact, I had read [UFO Crash at Roswell] carefully. Then he wanted me to understand that he felt the threats to people who ‘talked’ were very real..."
So, once again, I’m confronted with information, from a reliable source, that suggests that threats were made. The people who heard those threats believed them to be real. I’ll note one other thing. When the Air Force was making their Roswell investigation, they did not interview Saunders, though they certainly had the chance. He wasn’t all that old, only 76, and while his heart might have been weakened, he certainly had the strength to sit through an interview with another Air Force officer. Colonel Richard Weaver, who conducted some of these interviews in 1994, would have been welcomed in the Saunders home, as he was in others. But Weaver didn’t bother to search out Saunders, just as he failed to find Brigadier General Arthur Exon or ask to hear the tapes and read the notes that I had made with Edwin Easley. Why talk to those men, when you knew that Sheridan Cavitt would follow the script and that the men of Mogul would offer the information you needed to follow that lead? What's important here is that Saunders did not share this information with UFO researchers or outsiders at all. He kept it to himself, telling close friends and family only after the story had been told by so many others. It can't be said that he was seeking fame or fortune by creating a tale to put himself in the limelight. He told only his closest friends and family. In fact, Saunders, when he prepared for his own funeral, added a note to his list of accomplishments, mentioning his role in Roswell. It was there beside the notes of his Air Force service, flying "the Hump" in the Chinese-Burmese-Indian Theater in the Second World War, and the list of the awards and decorations he acquired during his military service. Clearly the events in Roswell were important to him. What we have now are several statements, written in his own hand, and shared with friends and family. Statements that suggest that Saunders was deeply involved in the Roswell events and they had nothing to do with a balloon, regardless of the mission of that balloon or who was claiming that it was a balloon. The double standard in UFO research is alive and well in Roswell. Tony Bragalia reports on what he and I learned from talking with one of the Roswell Firemen, and the first skeptical comment is that we can’t trust the memories of the old. The man shared with us his recollections of what happened in 1947 but he’s old (and fairly crotchety) so we can ignore this. His memories are all jumbled together, confused, confabulated, incoherent, and not based in reality. First, let’s examine exactly what he told to Tony and what he told to me. 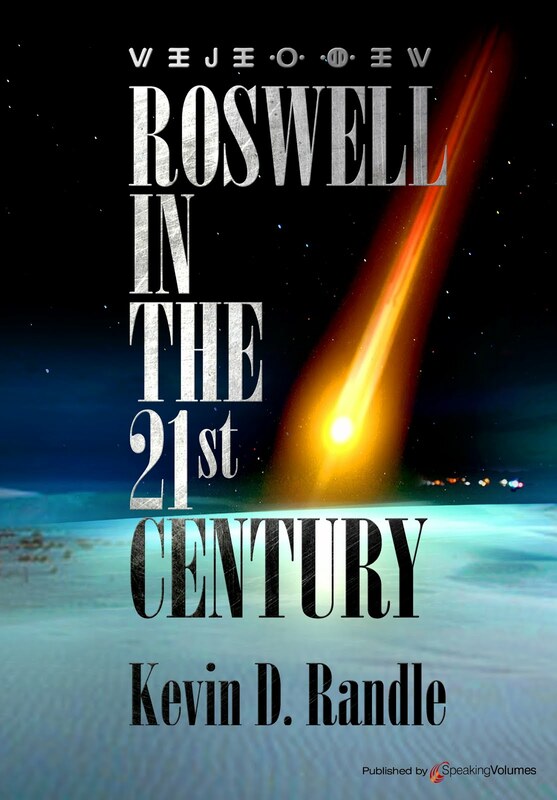 He said that there had been no run out to the UFO crash site by the Roswell Fire Department. He didn’t say they didn’t make runs outside the city limits because we know that isn’t true. He said that there had been no run by the fire department for this specific event. Not that crash didn’t happen, but that they made no fire run. Why not? A colonel from the base (though I suspect it might have been an officer of a lower grade simply because there weren’t that many colonels in Roswell, though the Roswell Fire Marshal was a lieutenant colonel) came out and ordered them not to go. Later the City Manager did the same thing by ordering the firemen not to discuss the events. It also seems that the men of the Roswell Army Air Field fire department did respond to the crash. It was this fire department that went out to the site, and not the civilians. When I spoke the to man, he was reluctant to talk, and if I approached a question from a slightly different angle he would tell me that he had already answered that question. This told me that he was still sharp at age 90 and that his mind had not faded as some might suggest. It was at this point the man told me, as he had Tony, that the colonel had come into the department to order them not to go, but that Frankie’s father, in his personal car (or POV for those of you with a military mind set) drove to the site. He said that Dan had told him the site was cordoned by armed guards, but that Dwyer had gotten close enough to see the craft. In other words, corroboration for Frankie Rowe. Second, let’s talk about this double standard. We are told to be careful of information obtained from the very old. We are told of diseases of the mind that cause confusion in the elderly. We are told how they jumble their memories together and that we can ignore what they say, especially if it concerns the crash of an alien spacecraft. On the other hand, these same skeptics have no trouble accepting the memories of the old if those memories conform to what they believe. Take Charles Moore, for example (and I don’t mean to pick on him, but the best example includes him). Moore is believed when he talks of the mythical Mogul Flight No. 4. We all know it happened because Moore told us he remembered losing track of the balloons up around Arabella and he was intrigued by the strange names of the places in New Mexico. So, contrary to the record that suggests Flight No. 4 was cancelled, and contrary to the information that the first successful flight in New Mexico was No. 5, we know there was a Flight No. 4 because Moore remembered losing track of it near Arabella. So, why are these fifty and sixty-year-old memories of Moore accepted and those of the fireman rejected? How is it that Moore’s memory remained intact and that of the fireman has been jumbled by age and the publicity surrounding the Roswell crash? Why do we accept Moore’s claim of losing track of a flight near Arabella that we can’t establish took place but reject the information that corroborates the testimony of other witnesses? Here’s the real point, however. Both Tony and I have interviewed a man who was in the Roswell Fire Department in July 1947. He said that they were told by a military representative told them not to go out there. He said that he was told the base fire department would handle it. He said that he learned, from Dwyer, that the craft was strange... suggesting that it was an unknown object from someplace else. He has corroborated much of what Frankie Rowe said which means we can dispense with calling her a liar. She might be mistaken, she might be wrong, but she’s not a liar. Others are saying the same things she said so that her story is no longer stand alone (though her sister had corroborated part of it long ago). She has been vindicated. Where do we go now? Well, I have the names of some of those who served in the base fire department and the search for them will begin. Of course, I realize that we are now more than sixty years from the event and the men who served in various capacities on the base would likely be in their late 80s and into their 90s, but we might get lucky. And we know of a couple of other places to begin searching for information. We now just have to take that step. It was late on a Saturday afternoon, that residents of Dublin, Texas were startled by a bright, oblong-shaped object about 300 feet above them. They reported a loud sound, like a bomb going off, and they saw the object disintegrate, hurling metal and debris over the town, near the Wasson & Miller flour mill and cotton gin. Quite a little excitement was created last Saturday night by the bursting of what is supposed by those who were present to have been a meteor, near Wasson & Miller’s gin. Quite a number witnessed the explosion and nearly everyone in that portion of the city heard the report eminating [sic] therefrom, which is said to have sounded somewhat like the report of a bomb-shell. Our informant (who, though a little nervous at times, is a gentleman who usually tells the truth, but did not give us this statement with a view to its publication) says he observed the meteor when it was more than three hundred feet in the air, before bursting, and that it bore a striking resemblance to a bale of cotton suspended in the air after having been saturated in kerosene oil and ignited, except that it created a much brighter light, almost dazzling those who percieved [sic] it. The gentleman in question seems to have been so badly frightened that it was utterly impossible to obtain an accurate account of the dimensions and general appearance of this rare phenomenon, but we are convinced from his statements that his position at the time must have been very embarrassing and that very little time was spent in scientific investigations. 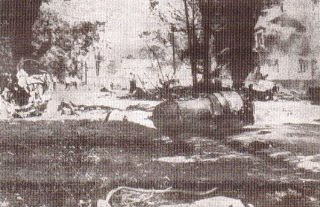 However, on the following morning he returned to the scene so hastily left the previous night, to find the weeds, grass, bushes and vegetation of every description for many yards around the scene of the explosion burned to a crisp, also discovering a number of peculiar stones and pieces of metal, all of a leaden color, presenting much the appearance of the lava thrown out by volcanic eruptions. He also picked up some small fragments of manuscript and a scrap, supposed to be part of a newspaper, but the language in both was entirely foreign to him, and, in fact, no one has yet been found who has ever seen such a language before, hence no information could be gained from their examination. At this juncture your reporter requested that he be shown these wonderful fragments of such a miraculous whole, but the narrator had worked himself up to such a pitch of excitement that it was impossible to get him to grasp the significance of our request, and were compelled to leave him a victim to his own bewildered fancy and to ruminate the seemingly miraculous story he had just related. Thus was a repotorial [sic] zealot denied the boon of seeing fragments of the most remarkable substance ever known to explode near Wasson & Miller’s gin. P.S. Since the above was put in type we learn that our reporter was given the above information by a contributor to the Dublin Telephone, but the information came too late too late to prevent its insertion in this paper. The description of the object sounds like a bolide, that is, an extremely bright meteor. They are so bright that they can easily be seen in the daytime, and they are often accompanied by sonic booms, which, the people of Dublin in 1891 wouldn’t have known. The only problem is this description of it hovering above the mill. That could have been an optical illusion if the meteor had left a smoke trail, something else bolides do. In this case, I suspect that the description in the article, that a meteor exploded over the city, is the proper solution here, though it is an interesting article. I will note here that Noe Torres (along with Ruben Uriate) is one of the authors of The Other Roswell: UFO Crash on the Texas-Mexico Border. He has been studying UFOs for more than twenty years and is a member of Texas MUFON. If you get the change, take a look at his books which span more than just UFOs.